With a blowing force of 35 newtons the STIHL BR 700 blower does a tidy job. Leaves, cuttings and litter are blown into a neat heap in next to no time. This powerful machine is the effective way of clearing up even larger areas. And the users, for example landscapers and municipal cleaning operators, can be confident the blower will make light work of it: the BR 700 is the lightest backpack machine in its class and has lots of ergonomic details to simplify handling. 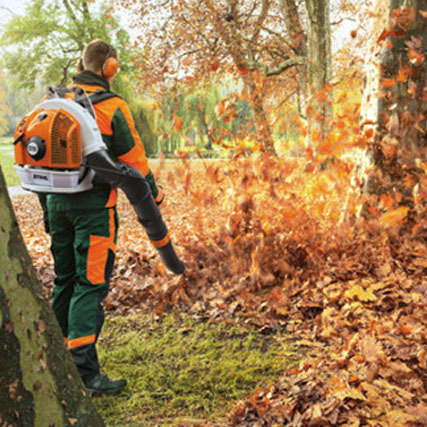 The irresistible force: in simple figures, with a blowing force of 35 newtons the STIHL BR 700 can keep 3.5 kg of leaves in the air – that’s more than any other STIHL blower. So the mess that typically has to be dealt with in spring and autumn, like cuttings or leaves, can be quickly and tidily blown into a pile. Even wet carpets of leaves disappear without resisting. The BR 700 is thus particularly suitable for use on large areas such as extensive parks. 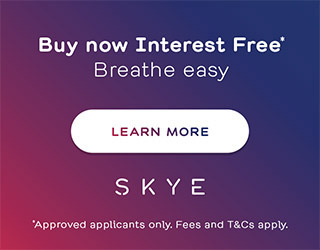 It gets its energy from a powerful 4-MIX engine which users will appreciate for its remarkably low fuel consumption and pleasant, sonorous operating sound. Despite its impressive performance this backpack machine weighs a mere 10.8 kg, making it the lightest in its class. 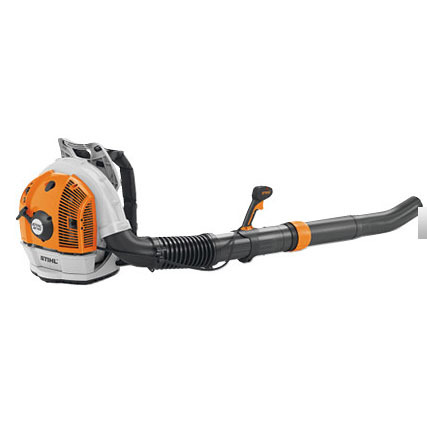 A wizard at adapting: on the STIHL BR 700 users can adjust the blower tube length and the handle position to suit them personally, without using tools. Light weight for heavy duty: with a blowing force of 35 newtons and weighing only 10.8 kg, the BR 700 blower soon tidies up even wet leaves. * K factor according to Directive 2006/42/EC = 2.5 dB(A); ** K factor according to Directive 2006/42/EG = 2 m/s.